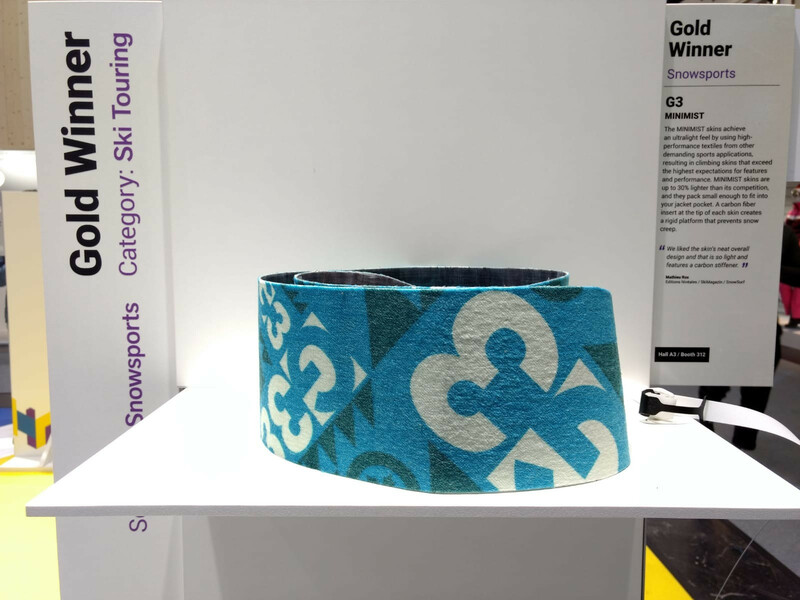 What are the novelties for winter 2019/20? 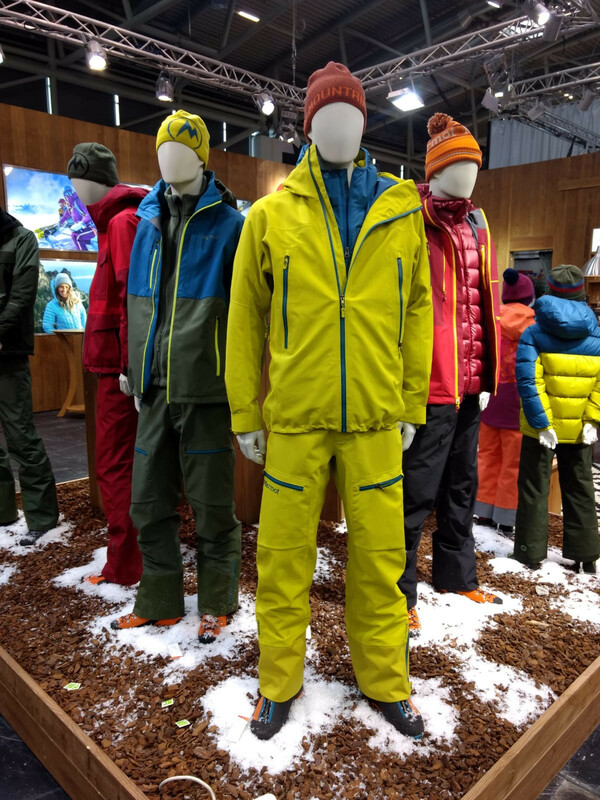 That's the question we've been trying to answer at the world's largest trade fair for sporting goods and sportswear, ISPO, in Munich these past few days. Here are a few of our impressions. The fashion brand Colmar for one will definitely bring some colour to the next season. 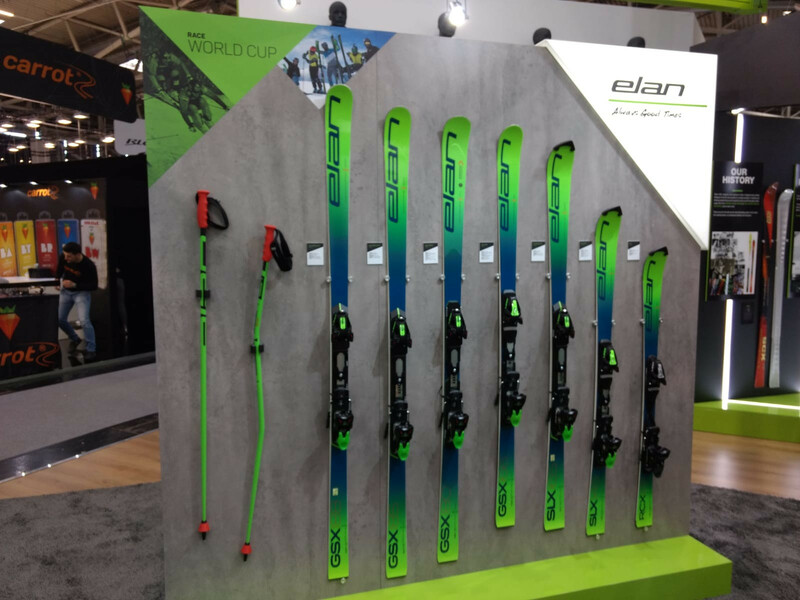 Elan's race and slalom carvers for next winter will sport bright shades of green again. 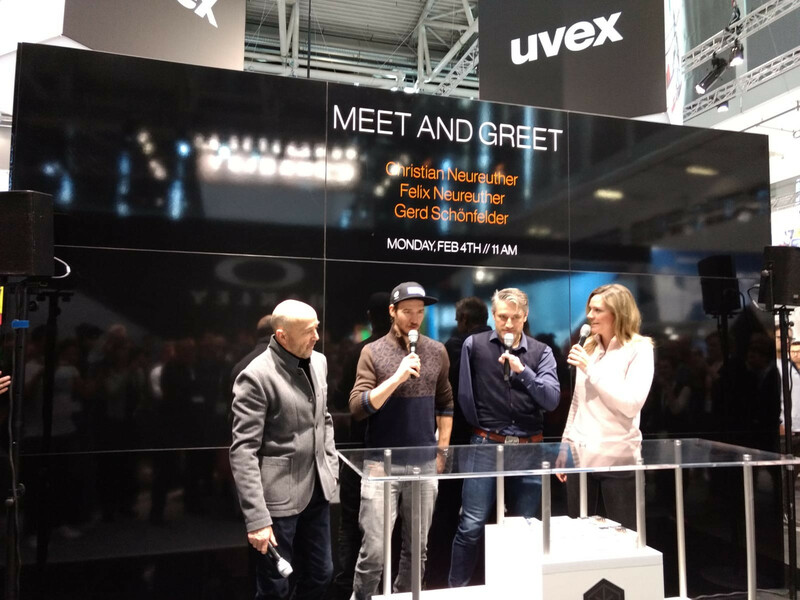 ISPO also welcomes numerous professional athletes: UVEX interviewed Christian and Felix Neureuther along with Gerd Schönfelder at their booth. The issue at hand: helmets and goggles. At Neureuther senior's times, professional atheletes still used to ski without the protection of a helmet. All three of them later received the "uvex proud people" award. 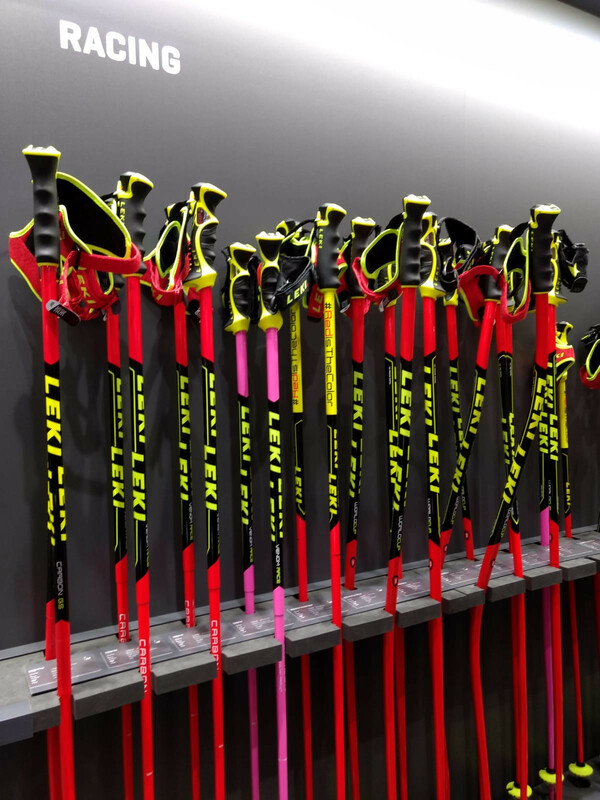 When it comes to ski poles, there's no way around LEKI. Many of the pros swear by them. Here you see bits of the 2019/20 racing series. 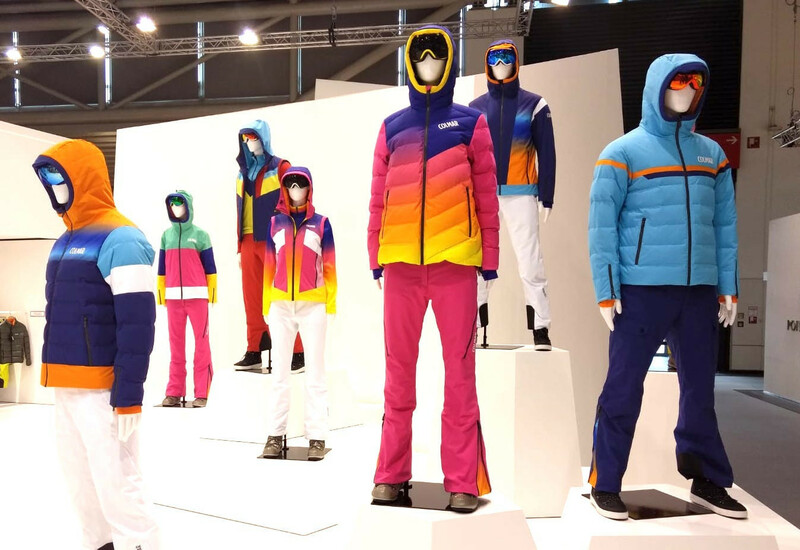 Marmot's new collection is another example for bright colours. Fischer is launching a whole new series for the new season. The "RC One" models have quick reaction and are easy to turn. Thanks to high-quality materials such as Titanal, they offer stability, security, and steadiness for swift runs on hard slopes. 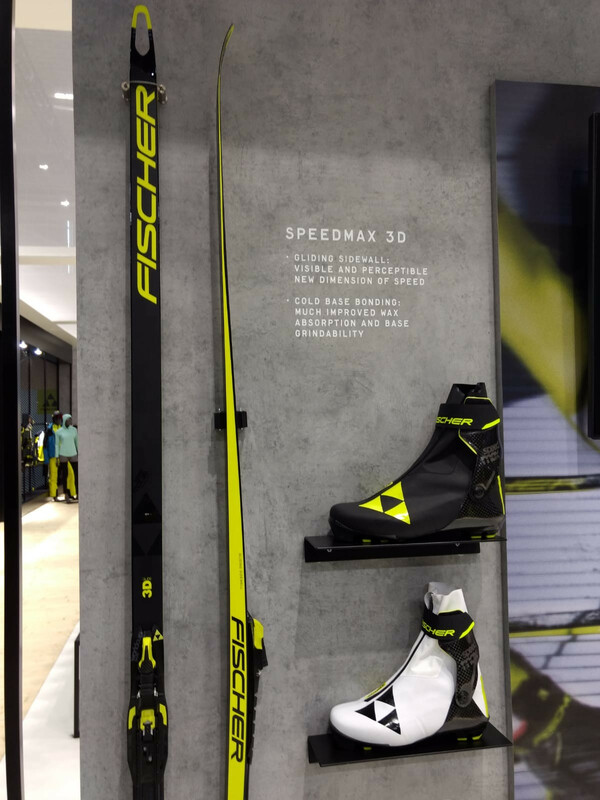 The "Speedmax 3D" is Fischer's novelty for cross-country skiing. 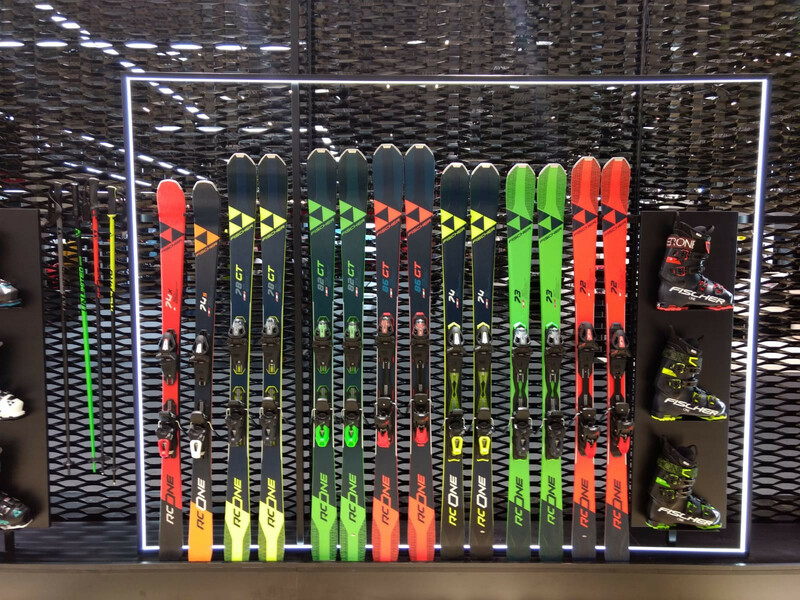 The ski's sidewalls can be waxed to reduce resistance. 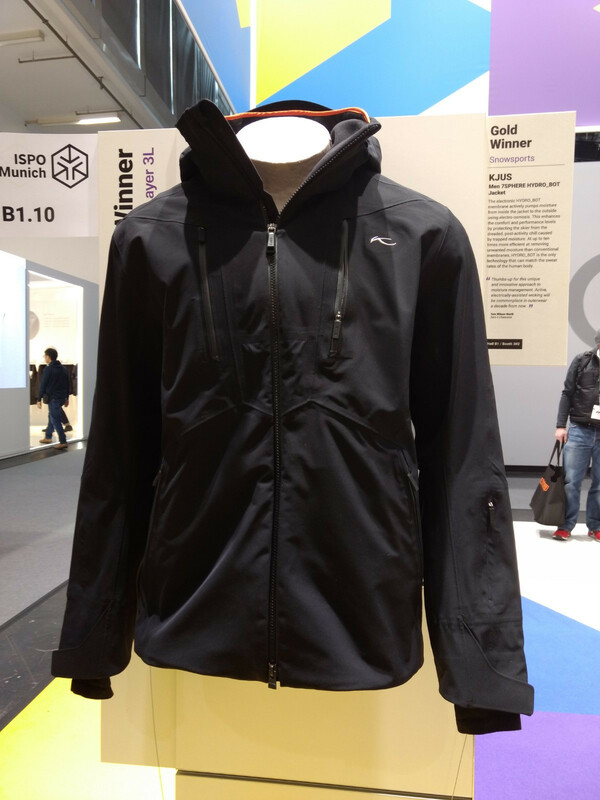 As every year, lots of new innovative products received an ISPO award. 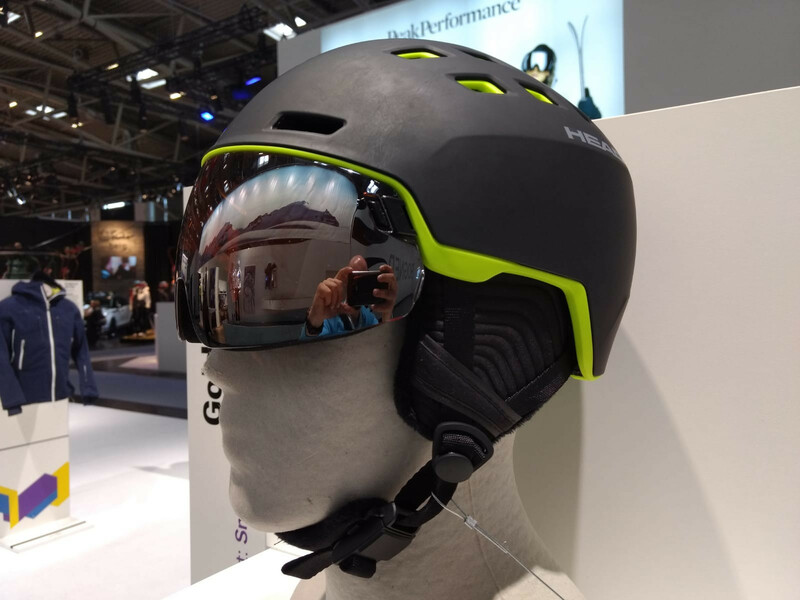 HEAD's Radar Helmet and its new design combine the advantages of ski goggles with those of a ventail helmet. The double-disk ventail can be exchanged within seconds. Another gold winner: the FINDr series by G3. 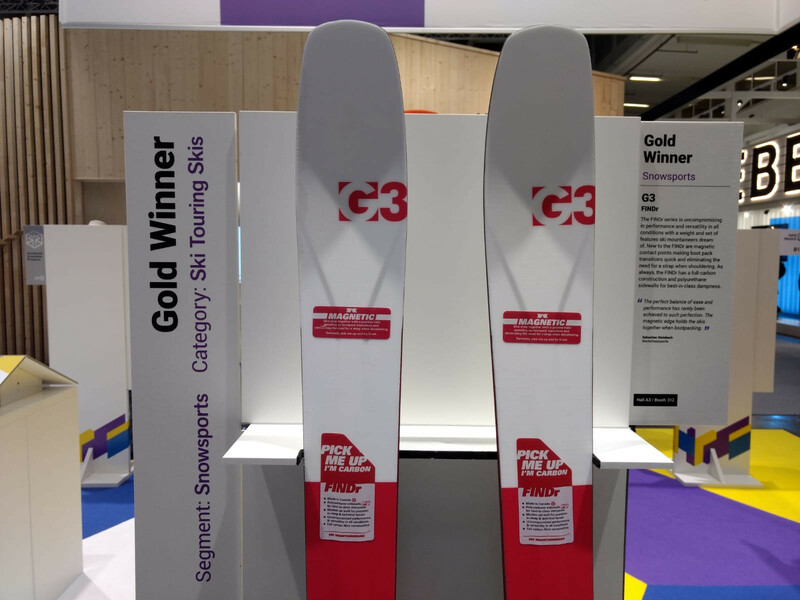 The lightweight of only 1400 grams per ski now features magnets that help keep your skis together with a simple click. 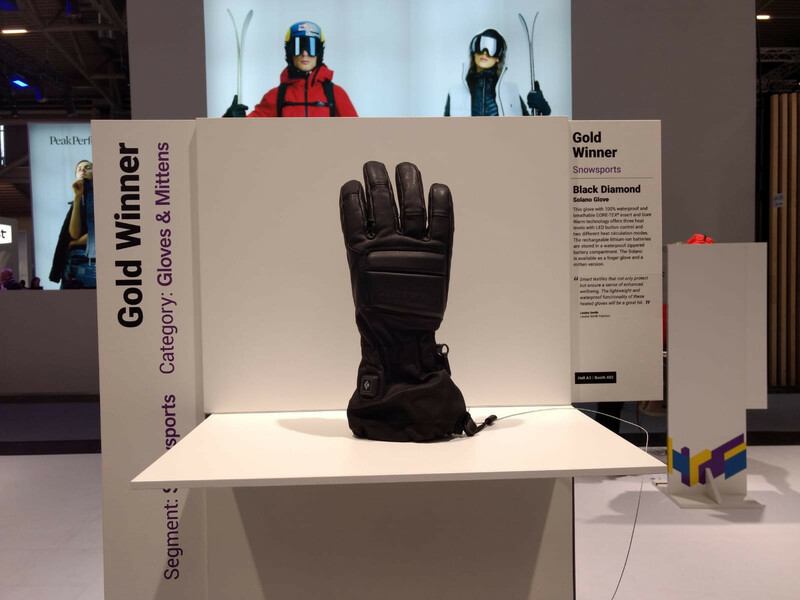 The new "Solano Glove" by Black Diamond has also been awarded gold. Not only is it breathable, it is also heatable to three degrees. The heating is controlled with LED keys. If you give skiing your all, you'll sweat under your jacket. 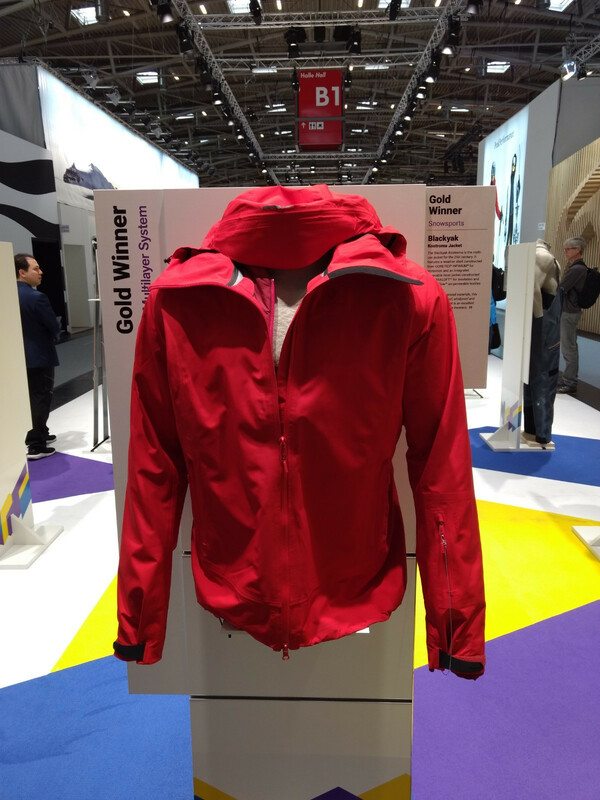 KJUS's new jacket, also gold winner, keeps your body from going hypothermic as a result. Its electronic HYDRO_BOT membrane actively conveys the humidity from the inside of the jacket to the outside through electroosmosis. According to the manufacturer, this happens ten times more efficiently than with conventionally used membranes, and is the only system that can keep up with the speed of natural sweat production. If you're into ski circuits, the MINIMIST skins by G3 could be interesting for you. Thanks to high quality fabrics from other sportswear, they are ultra light, and thus exceed requirements for equipment and performance. A carbon fibre insert at the top makes for a stiff platform that stops snow from getting underneath the skin. Kostroma Jacket by Blackyak is regarded as THE all-purpose jacket of the 21st century. GORE-TEX® INFINIUM® on the outside for maximum protection, and an integrated, removable inner jacket out of YAKLOFT™ for isolation and breathable YAK TruFlow™.